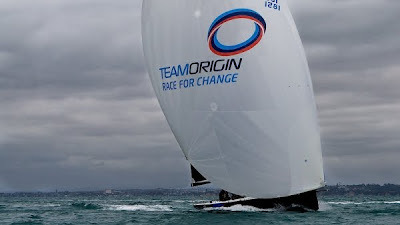 AUCKLAND, NEW ZEALAND- TEAMORIGIN’s new TP52 hit the water for the first time today and the team’s shore crew, sailors and designers were there in force to enjoy this exciting moment for the team. The team will carry out another few days of testing and the boat then gets loaded onto a ship and heads to Europe for its racing season. 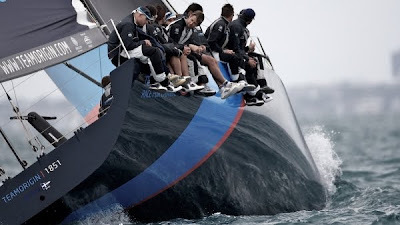 TEAMORIGIN will compete in the YP52 Audi Med Cup series which consists of 5 regattas around the Mediterranean, with the first event taking place in Cascais starting on 10th May 2010.